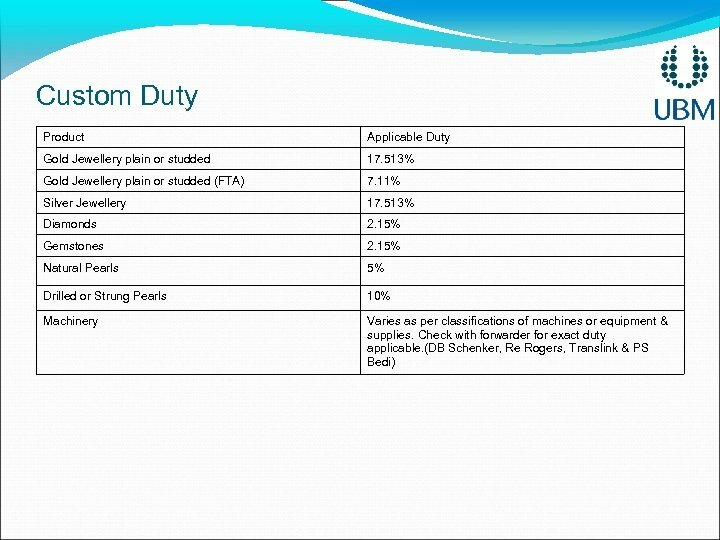 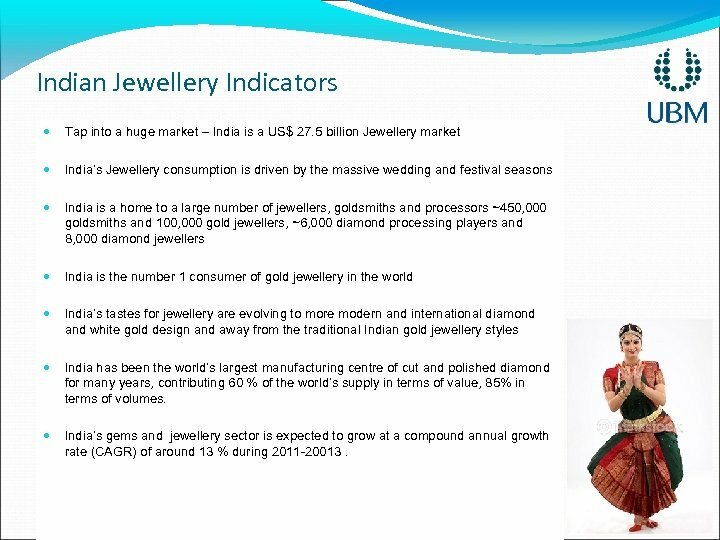 Indian Jewellery Indicators Tap into a huge market – India is a US$ 27. 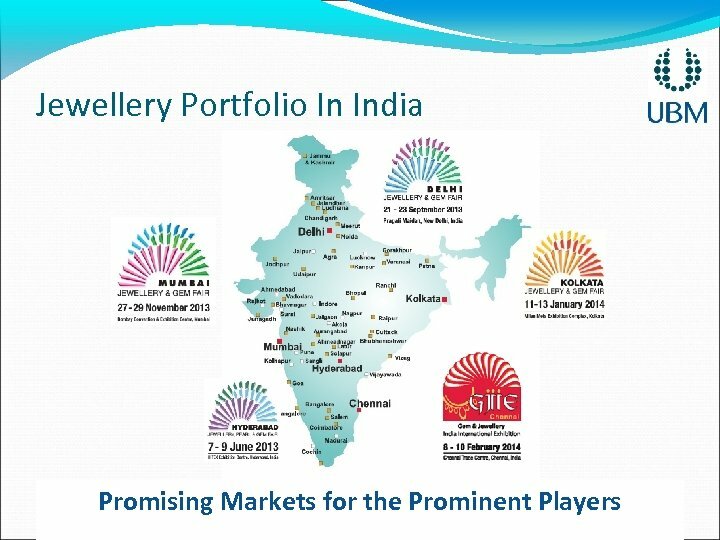 5 billion Jewellery market India’s Jewellery consumption is driven by the massive wedding and festival seasons India is a home to a large number of jewellers, goldsmiths and processors ~450, 000 goldsmiths and 100, 000 gold jewellers, ~6, 000 diamond processing players and 8, 000 diamond jewellers India is the number 1 consumer of gold jewellery in the world India’s tastes for jewellery are evolving to more modern and international diamond and white gold design and away from the traditional Indian gold jewellery styles India has been the world’s largest manufacturing centre of cut and polished diamond for many years, contributing 60 % of the world’s supply in terms of value, 85% in terms of volumes. 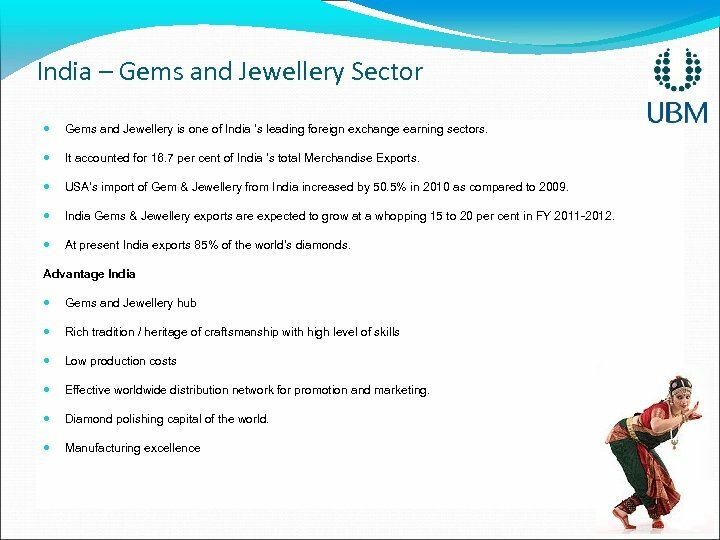 India’s gems and jewellery sector is expected to grow at a compound annual growth rate (CAGR) of around 13 % during 2011 -20013. 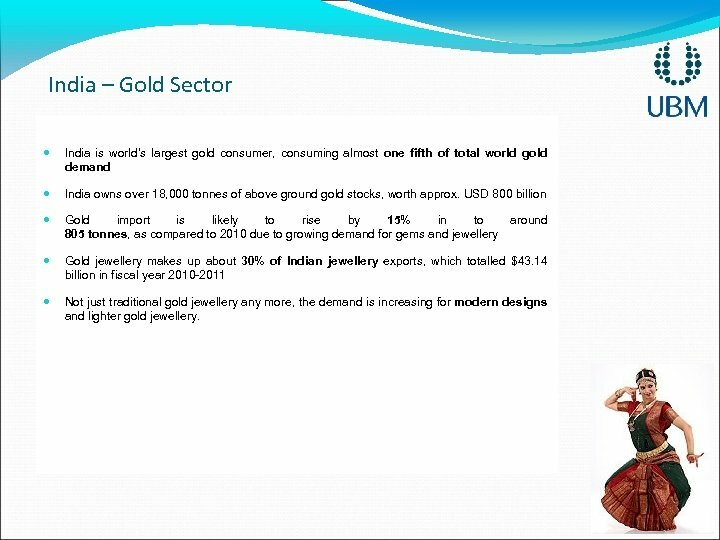 India – Gold Sector India is world’s largest gold consumer, consuming almost one fifth of total world gold demand India owns over 18, 000 tonnes of above ground gold stocks, worth approx. 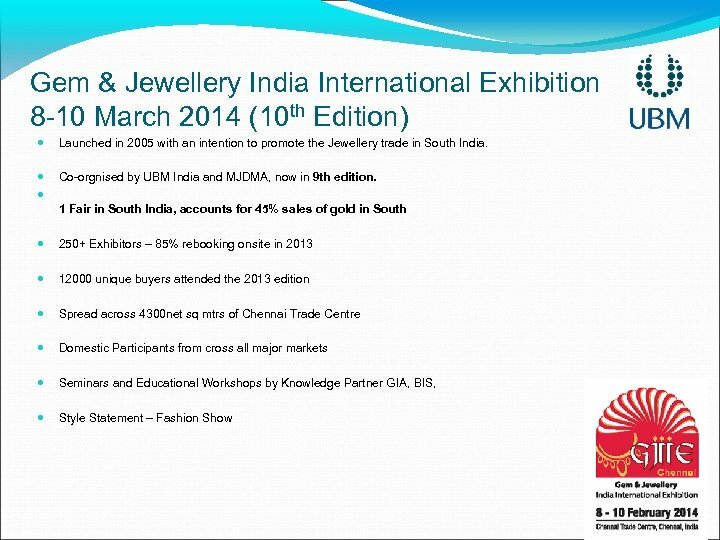 USD 800 billion Gold import is likely to rise by 15% in to around 805 tonnes, as compared to 2010 due to growing demand for gems and jewellery Gold jewellery makes up about 30% of Indian jewellery exports, which totalled $43. 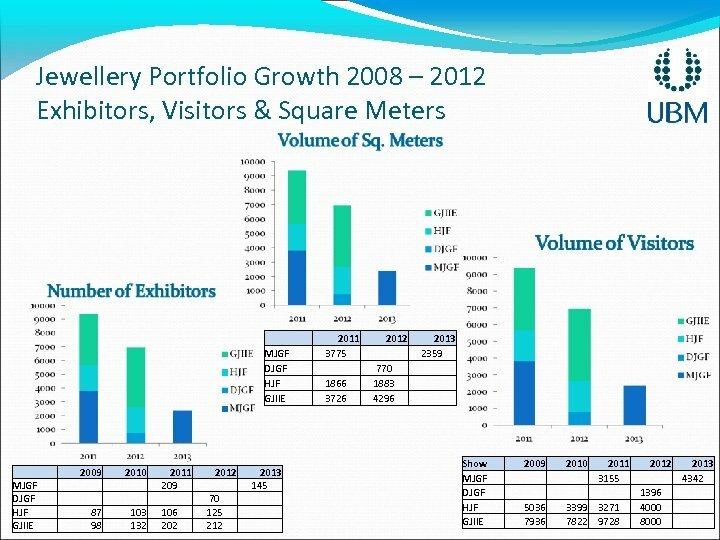 14 billion in fiscal year 2010 -2011 Not just traditional gold jewellery any more, the demand is increasing for modern designs and lighter gold jewellery. 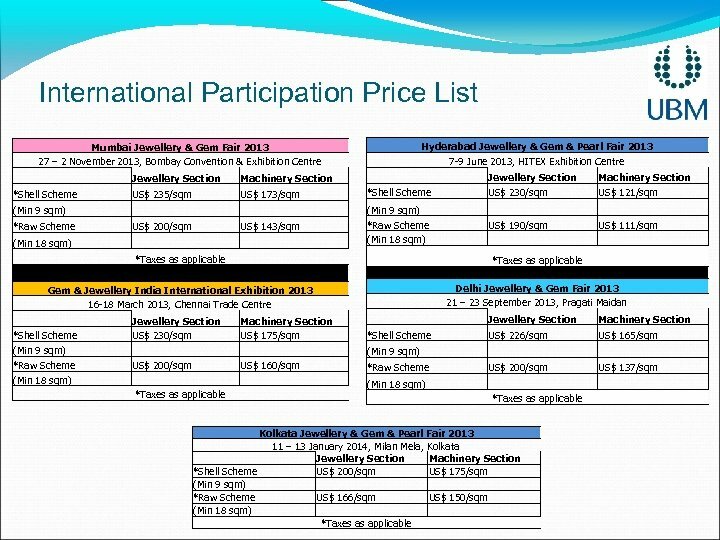 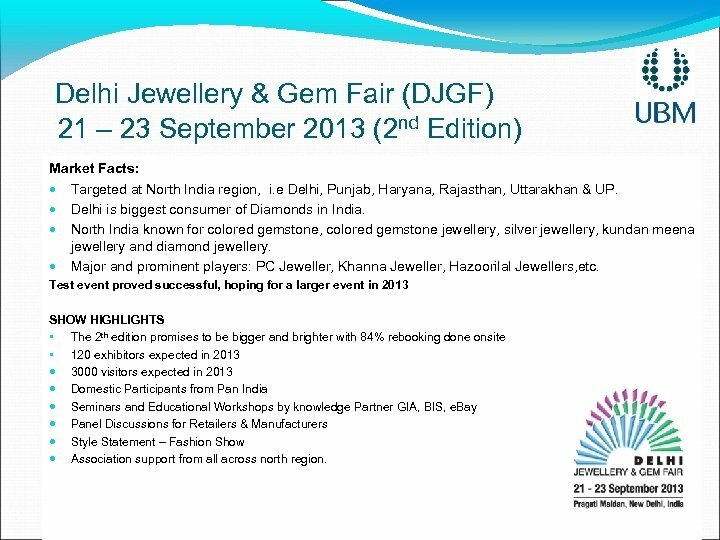 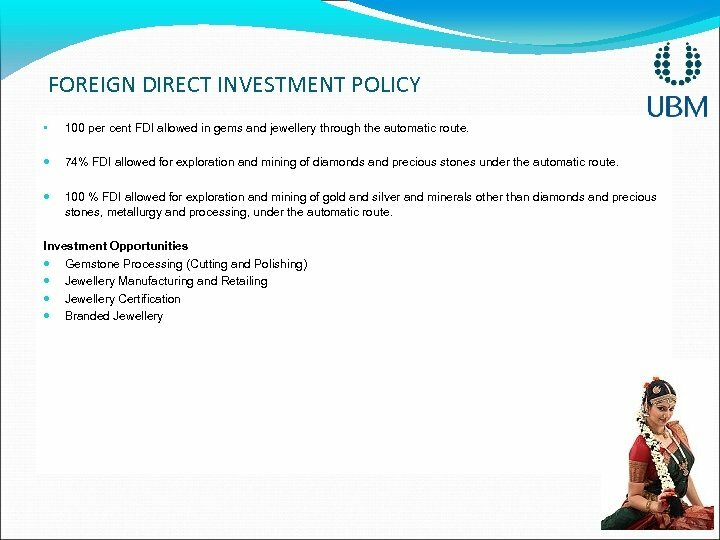 Delhi Jewellery & Gem Fair (DJGF) 21 – 23 September 2013 (2 nd Edition) Market Facts: Targeted at North India region, i. e Delhi, Punjab, Haryana, Rajasthan, Uttarakhan & UP. 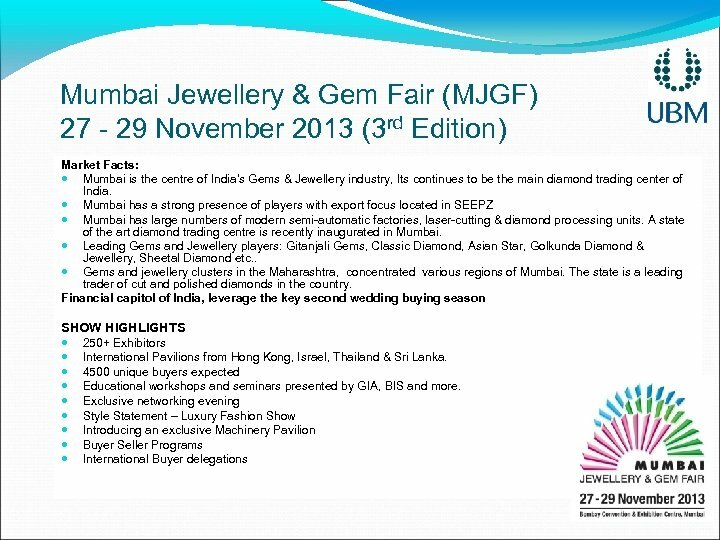 Delhi is biggest consumer of Diamonds in India. 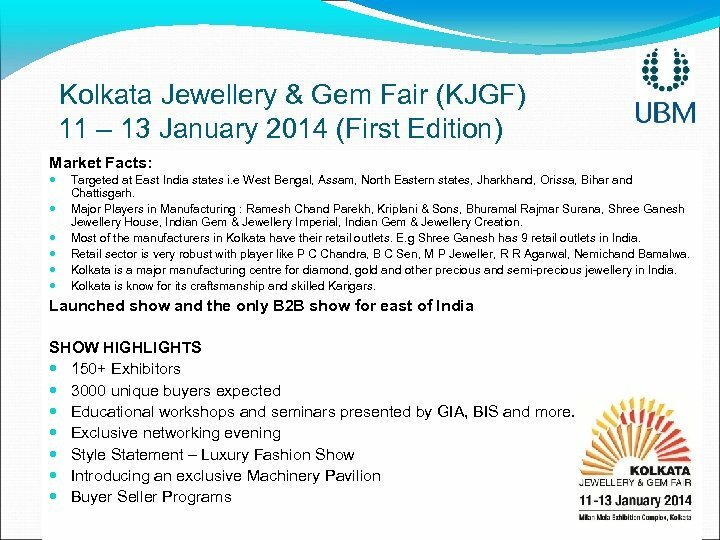 North India known for colored gemstone, colored gemstone jewellery, silver jewellery, kundan meena jewellery and diamond jewellery. 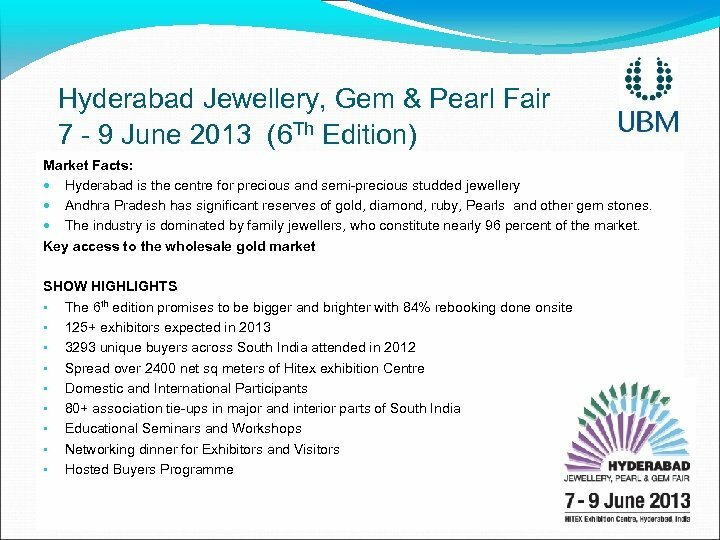 Major and prominent players: PC Jeweller, Khanna Jeweller, Hazoorilal Jewellers, etc. 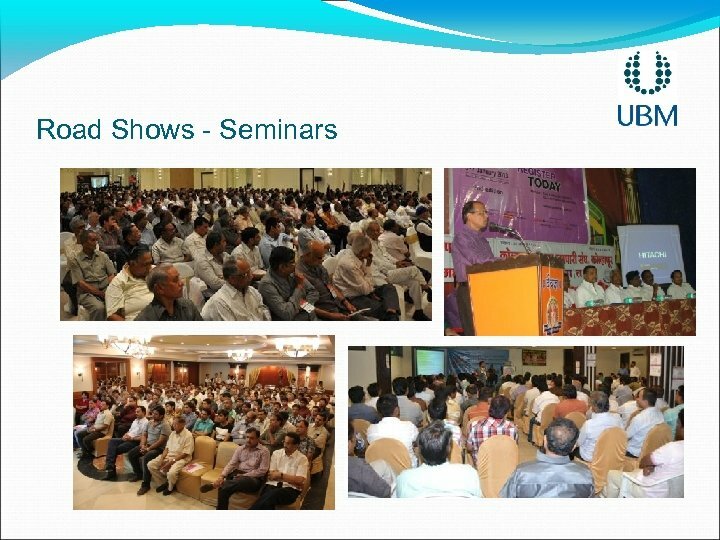 Test event proved successful, hoping for a larger event in 2013 SHOW HIGHLIGHTS • The 2 th edition promises to be bigger and brighter with 84% rebooking done onsite • 120 exhibitors expected in 2013 3000 visitors expected in 2013 Domestic Participants from Pan India Seminars and Educational Workshops by knowledge Partner GIA, BIS, e. Bay Panel Discussions for Retailers & Manufacturers Style Statement – Fashion Show Association support from all across north region. 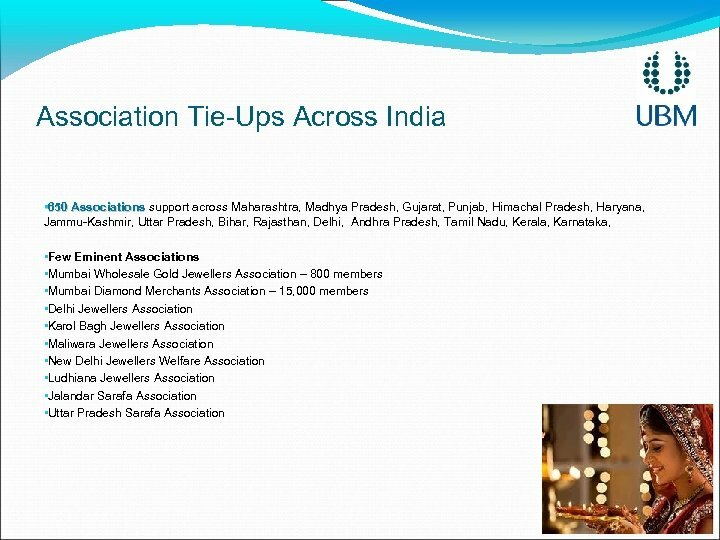 Marketing & Visitor Promotion Update - Associations Tie-ups: Over 600 Association Tie-ups nationally. 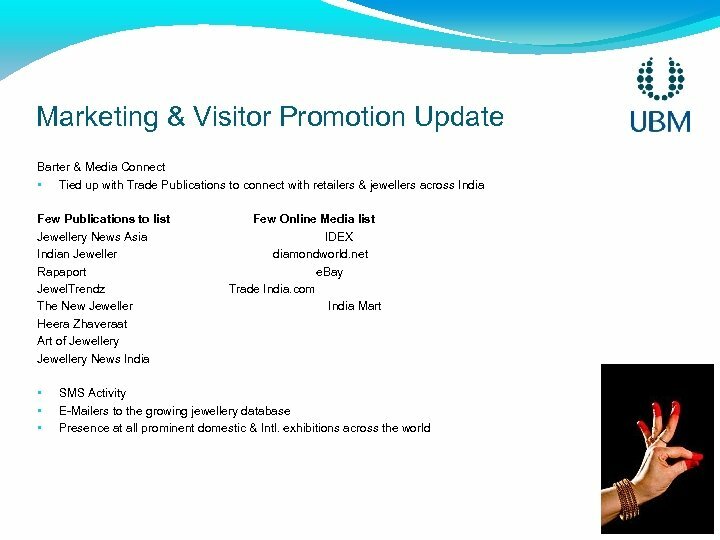 - Media Tie-ups: Trade Journal, B 2 B Trade Publications, Online Media, Mainline Media. 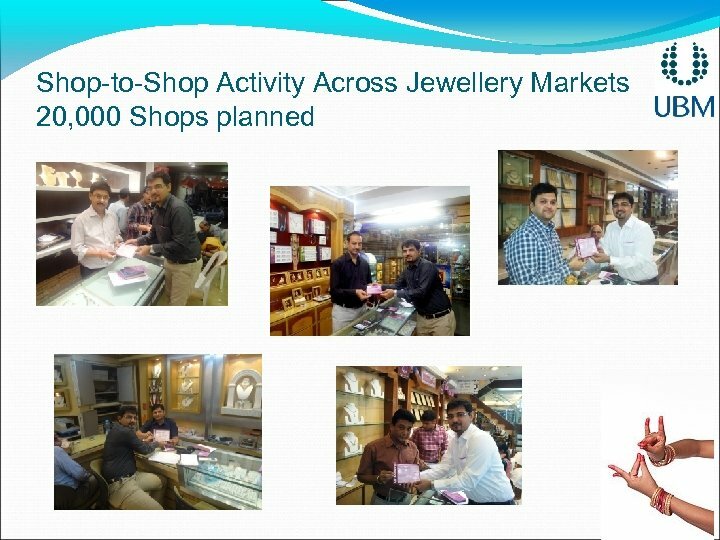 - Road Shows & Seminar: Multicity Road shows for a wider reach and mileage - Shop-to-Shop Activity – Connects with 20, 000 jewellers in all region. 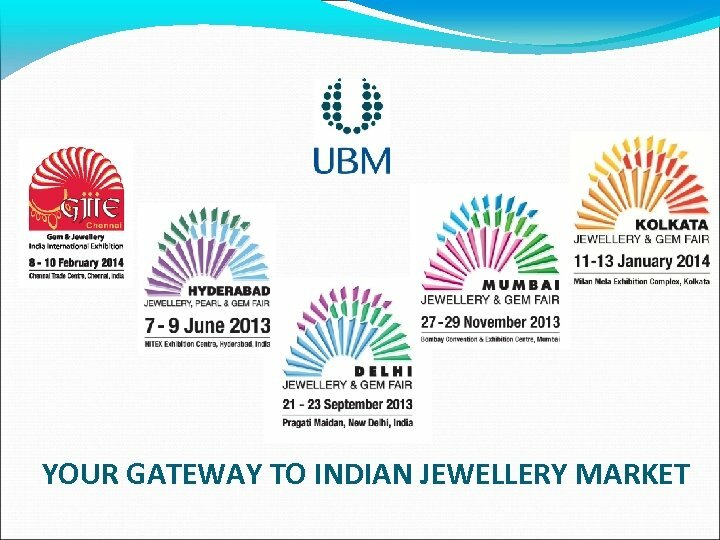 - Personal Meetings with association heads and top retailers. 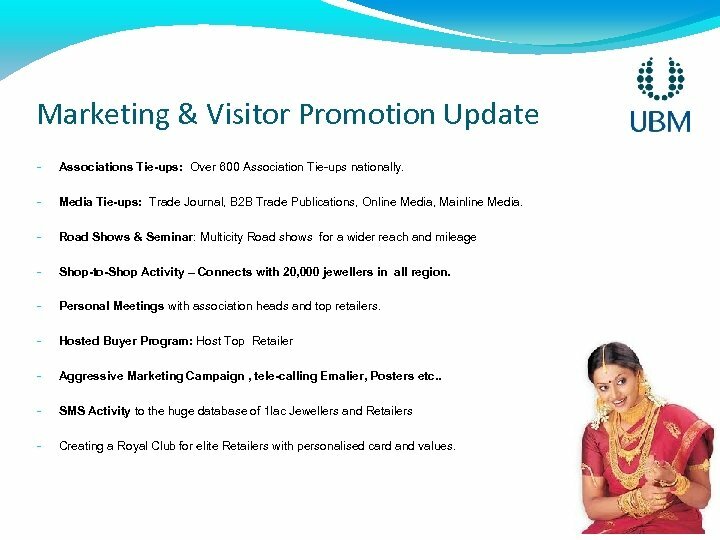 - Hosted Buyer Program: Host Top Retailer - Aggressive Marketing Campaign , tele-calling Emalier, Posters etc. . - SMS Activity to the huge database of 1 lac Jewellers and Retailers - Creating a Royal Club for elite Retailers with personalised card and values. 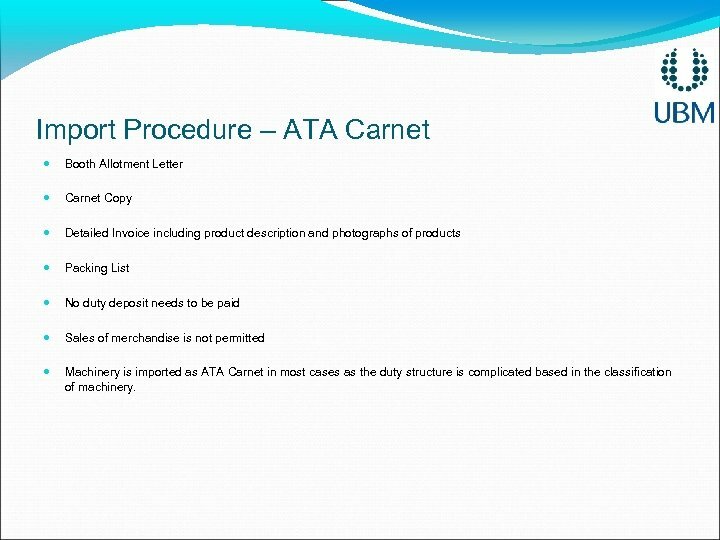 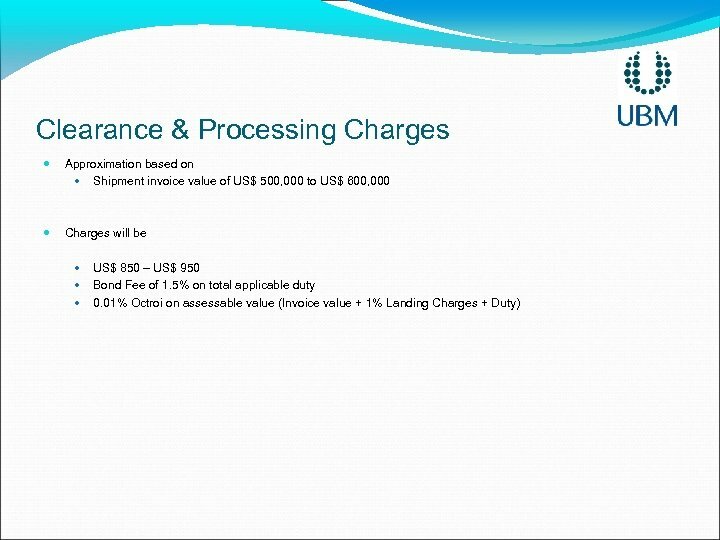 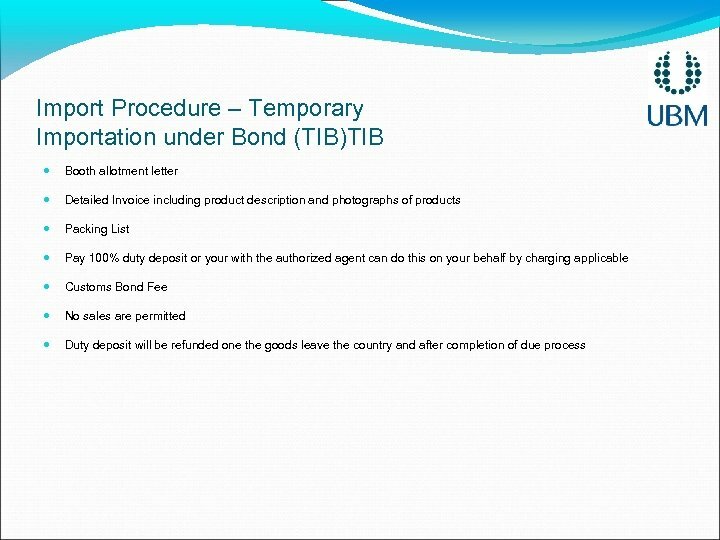 Import Procedure – ATA Carnet Booth Allotment Letter Carnet Copy Detailed Invoice including product description and photographs of products Packing List No duty deposit needs to be paid Sales of merchandise is not permitted Machinery is imported as ATA Carnet in most cases as the duty structure is complicated based in the classification of machinery.